A baby on its mother's back does not know the way is long. Tragically, there are 140 million orphans globally who have lost a mother or father or both. They know from experience the way is long, difficult, and heart-breakingly challenging. That's where a caring community that provides education, wholesome activities, and love becomes critical. Nothing replaces a mom of one's own, but being surrounded by those who care goes a long way. We join together in celebrating mothers worldwide this weekend while passionately working to support the orphans who don't have the luxury of being carried on their mother's back or sitting on her lap. Of the 1374 students currently enrolled in our schools in Zambia, 638 are orphans. 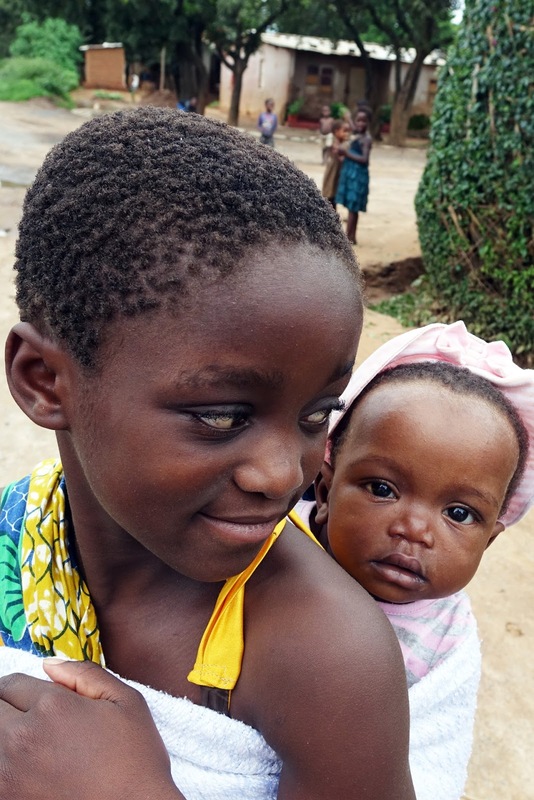 Thanks to the incredible HealthEd Connect supporters, hope and joy are being brought back into the lives of children who are journeying through life without the benefit of a mother's love. If you'd like to honor a mother in your life while supporting these orphans, go to our web page and make a donation at www.healthedconnect.org. A little bit goes a long way --- a modest $25 provides 208 school lunches!